I keep listening to stories that I connect with on an emotional level – the riddles of broken family ties, loss, grief and longing. What memories are being kept secret? Where is the detail hidden that makes this person’s life visible in a bigger picture – a picture that indicates we are part of something bigger, if not religious, so of society and history. Meeting Lida, I found all the parameters of my interest were present; her story, her relationships and her poetic way of describing her life to me. And then there was the gloomy landscape she lived in, its history and her unique language as well as the current situation in Eastern Ukraine – I could not wish for a better setting. LIDA is a modern, poetic, cinematic experience. 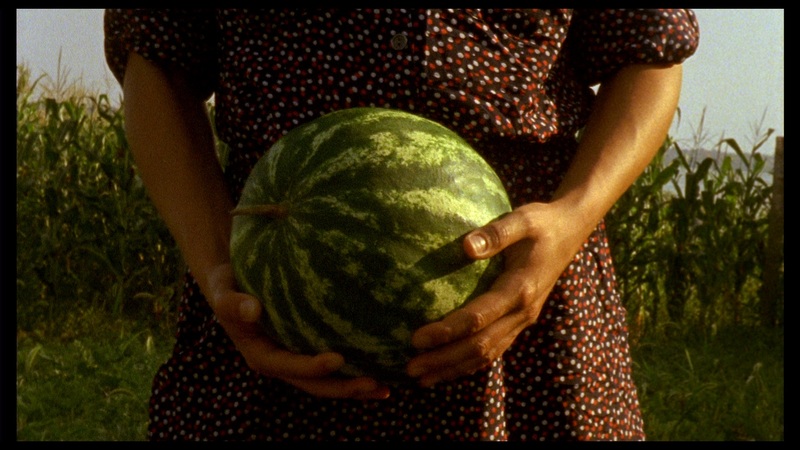 It is not a conceptual movie nor meant to be consumable in a straight way. By blending time and places – a narrative painting is created about a family love that only exist in memories. These are told in a timeless way by the main character Lida and her son and sister, mixing them, so that the characters can communicate with each other, regardless of the miles and hours separating them. The film is an impressionistic, dreamy piece about beautiful characters, that span generations and who have lived through war, a war that they aren’t a part of, or involved in, but are, nonetheless, irreversibly affected by. Now they can only be connected to each other through their common memories and the distances between them seem to vanish. Lida is an old Babushka, who is the last Old-Swedish speaking person in a former Swedish settlement from the 18th century in Ukraine. LIDA is about the cycle of time and a community with a unique language disappearing. “A tree moans and moans but never breaks. 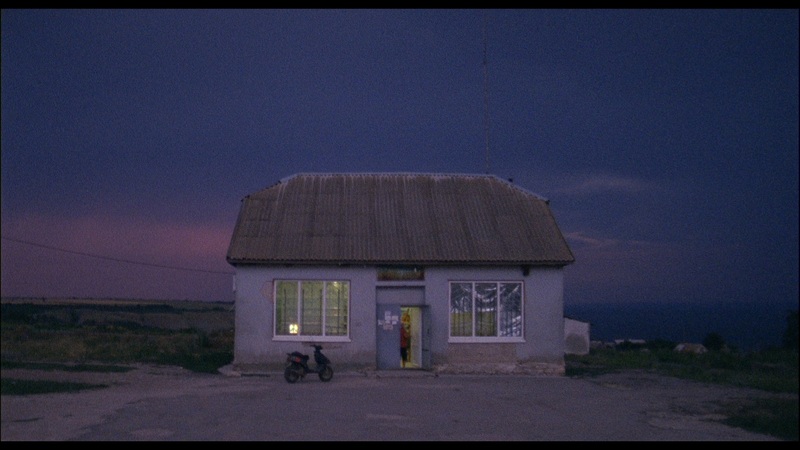 A strong tree tips over and is gone.” Embracing a fabric of places, times and stories—the Sweden of the 1930s, a Siberian work camp, and contemporary Ukraine—Lida is situated somewhere between a mysterious requiem and a documentary novel. 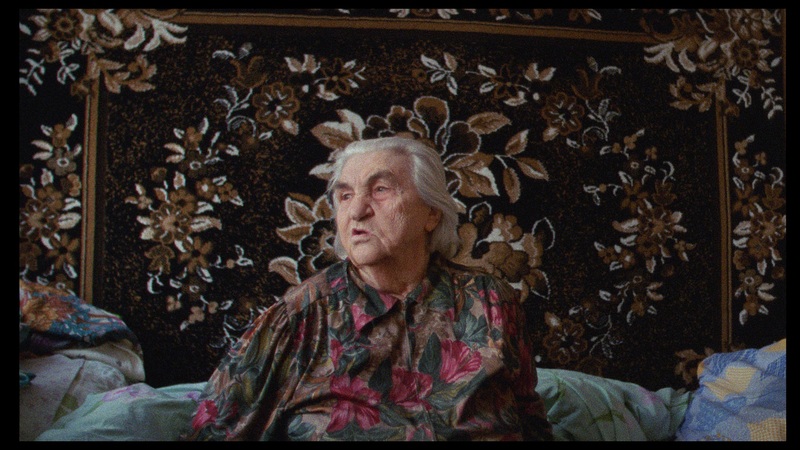 It paints a portrait of a Babooschka living in a retirement home in Ukraine who turns out to be the last to speak an old Swedish dialect—in a colony of the same origins dating back to the 18th century. Although war is ever present, yesterday as today, in the end it is just a background noise against which Europe and the world rip each other apart, leading to migrations, of lives and stories. While members of her family, including her son Arvid, remain in Russia, the sparkling Lida has fallen for a man and a village that looks like the end of the world. 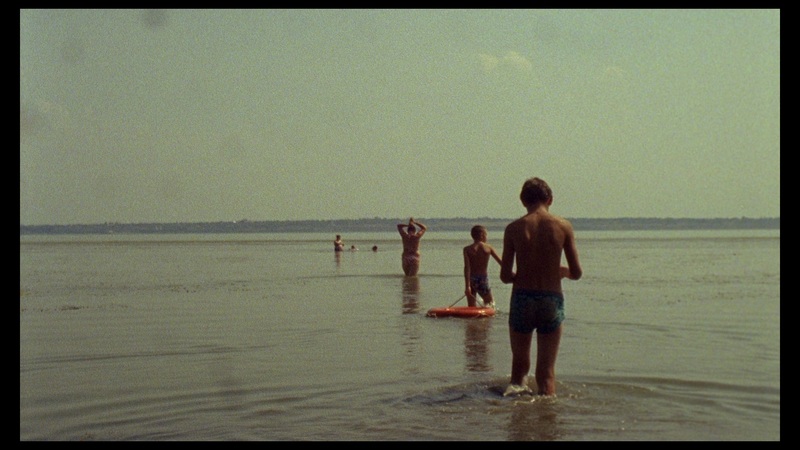 It is only through the film, impressionistic and dreamlike, that a form of family dialogue may exist. While certain elements of the story are thus sketched out, others remain elusive, much like the personality of the protagonist”. Two sisters, Lidia and Maria Utas, spent their youth in the Gulag, in labour camps for special settlers in the Komi Autonomous Republic. Before the World War II, the Kolchimlag camp was located here. Later, it was closed down, and deported Estonians, Lithuanians and Latvians were moved to Kortkeros. Utas sisters spoke Swedish. Their ancestors came to the Russian Empire in 1782 and established a village in steppe not far from Kherson (today in Southern Ukraine) known as Alt Schwedendorf or Staroshvedskoye, today Zmiyevka. After Stalin’s death, Lidia came back to Zmiyevka, and Maria stayed in the region where she was deported by the Soviet authorities, in Syktyvkar. Only one of Lidia’s sons is alive, Arvid, born in the camp. He has become a monk now, under the name of Brother Nil. Lidia has not had any contact with him since 1976, and he did not know anything about his mother. The sisters have also all but stopped communicating with each other. Over the last years, they have found themselves on the opposite sides in a new war. Maria is a Putin supporter while Lida passes her last years in a retirement home in Ukraine. 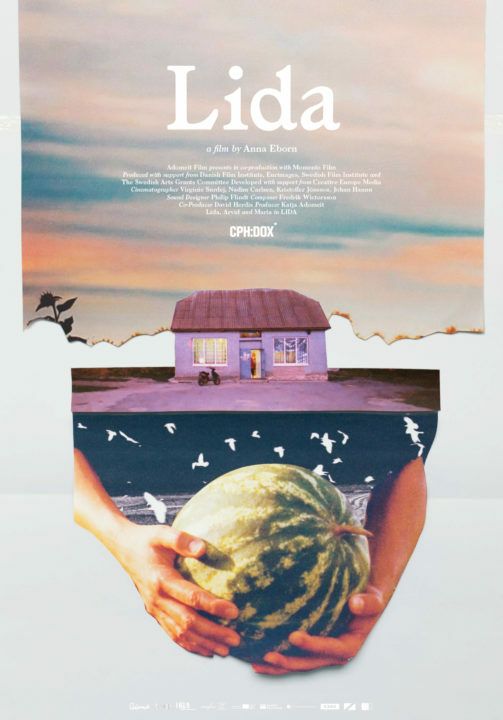 On 23 March, the documentary Lida is released in Sweden, dedicated to the Utas family. It took the director, Anna Eborn, nine years to make it, in Kherson Region, St. Petersburg and Syktyvkar. It is a story about the disappearing Swedish community in Zmiyevka (there are only six persons in the village who continue to speak Swedish), and a portrait of a family fallen apart. Old women, speaking a mix of Swedish, Russian and Ukrainian, are roaming about the cemetery and looking for the tombs of their friends. A new monument emerged on the cemetery in 2015: Lida Utas went to visit her friend and died as she walked. 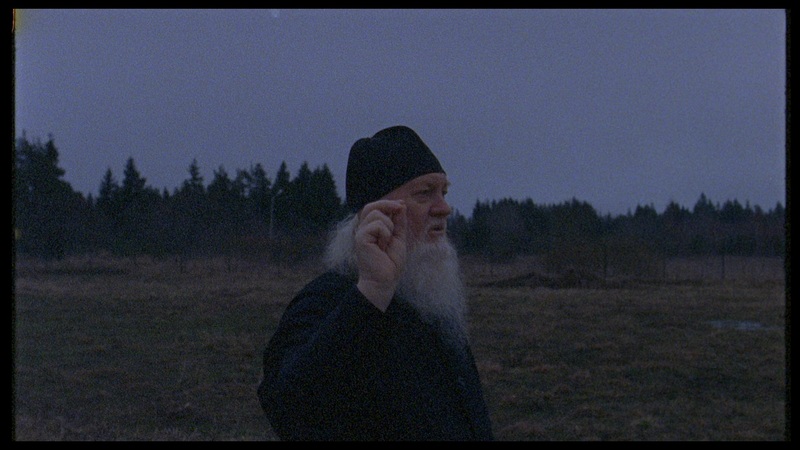 We are speaking to Anna Eborn at the Bergamo Film Festival after the projection of Lida. – How did the Lida’s family end in the Gulag? – When Lida was 10 years old, Nazis occupied Zmiyevka and started to resettle its inhabitants. It was a simple family of farmers, they did not even know where they were being sent. Almost the entire village was deported through Poland to Germany. When the war was over, they were promised the possibility to come back home but they were detained on the border and accused of sympathy for Nazis. All the ethnic Swedes, about 60 persons, were put on a train. They did not know where the train was heading but Lida told me her father was increasingly worried because the train was going northwards. Finally, they were brought to the Komi Autonomous Soviet Socialist Republic, to Kortkeros, there were several small camps, and the deported were put to work there. The father died in the camp, and Lida gave birth to her first child, Arvid. They were released in 1953. Lida is sure that it happened because the camp was visited by a Swedish general – I have no idea who he was – and started to inquire why the Swedes got there. Special settlers told him they were unaware of any guilt of theirs but were brought there forever. The general promised to help; they were released one and a half years later, and Swedes believed it happened thanks to him. – In 1929, many ethnic Swedes went to Sweden from the USSR, and then came back to the USSR. Was Lida’s family among these double repatriates? Why did they stay in the USSR? – In 1920s, a Swedish religious organisation found out that there are ethnic Swedes in a Ukrainian village, and almost all the Swedish inhabitants of Zmiyevka, around 900 persons, were repatriated by a ship to the Gotland Island. However, the times were hard, the Depression badly hit the agriculture, so there was no work for migrants, and locals met them with hostility. Besides, it was colder on Gotland than in Ukraine, and a year later, despite being given accommodation in Sweden, the migrants decided to go back to Zmiyevka. Lida was already born in Ukraine. However, if we go back to the 1950s when Lida found herself in the camp, there was no more possibility to go back to Sweden. They only wanted to live in their Ukrainian village. – Why did not they move to Sweden after the breakdown of the USSR? – They were not allowed to. Lida did not even try, but another family tried to obtain the Swedish citizenship in 1990s and was refused. The fact is their ancestors had left Sweden very long ago, in the 18th century. Evidently, they did not have any special links to Sweden. Still, I am surprised that Sweden refused them, they were so few. In 1990s, there were only 30 Swedish speakers in Zmiyevka. The life was even worse than in Soviet times, it was an absolute misery. Lida told me they were hungry for several years. Well, it is a bit better now. – Rather Old Scandinavian. Some words and expressions seem to come from a Norwegian or a Danish dialect but in the 18th century the languages spoken in Denmark, Sweden, Norway and some regions of Finland were closer than they are now. I do not think it sounds like Yiddish: for me, it is rather the ancient Scandinavian language. The vocabulary is not so large, the syntax is simple. However, some expressions were hard for me to understand, so Lida explained them to me. For instance, to say that a woman is pregnant, they use an expression that sounds as if the woman was carrying the heritage of the family. I found it very poetic; this simple language has its beauty. – We have a similar obsolete expression in Russian – ona poniesla (“she started to carry”) means “she got pregnant”. 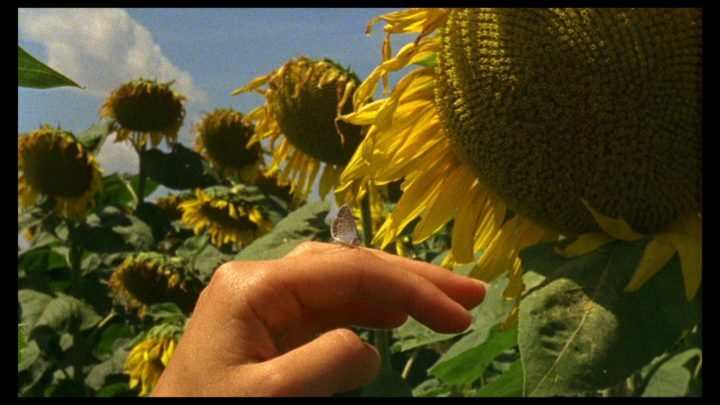 – When we hear such a language today, it becomes a reflection of the past, and it serves as an inspiration from a cinematographic point of view: Lida’s discourse inspired the visual imagery of the film as well. – How did you meet Lida and learned her story? Do they know about Zmiyevka in Sweden? 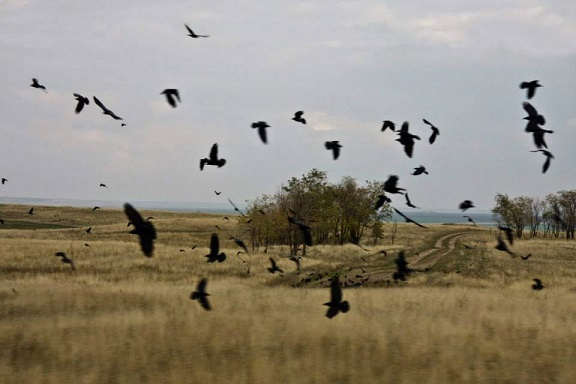 – Only few people know – several hundred people that have personal link to this village. 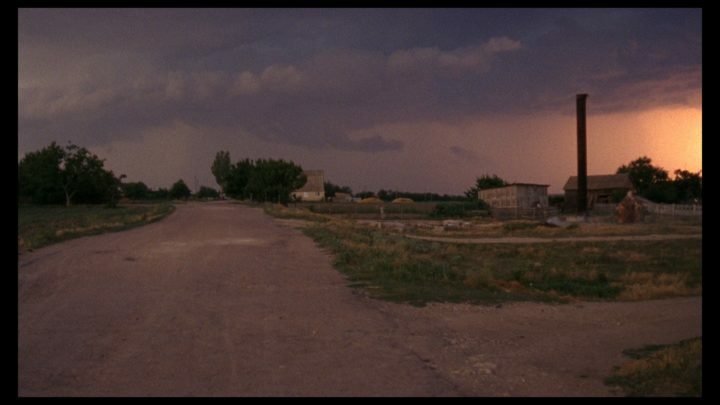 I like Russian films very much, I appreciate films made by Sokurov and Tarkovsky. Thanks to these films, I wished to see these landscapes, and then I discovered that there are people in Ukraine who speak Swedish. Now I can understand some Russian but back then I did not speak it at all so I decided that these ethnic Swedes can tell me something. I came and met eight women, and I recorded interviews with all of them including Lida. She stood out, I liked her very much the moment I saw her. She had such a deep strong voice, especially if I listened with my earphones on. And she had a peculiar way of telling stories: I think it goes back to the oral tradition because she did not get any education. She also had a magnificent sense of humour. We have something in common with her, and it immediately helped us come to an understanding. It was a very pleasant relationship. –Yes, it was very long ago. Before that, I never made a documentary so at first I did not even know what I was going to do. It took time for my method to take shape, I did not immediately start using a 16mm film, because it is much more difficult. At first, I just collected stories. Only several years later I found Lida’s son and started to understand that my film is about a family fallen apart: Lida lived in Ukraine while her relatives were in Russia. It was not a simple work but it was exciting. – What are your impressions of the village and of the retirement home where Lida lived? It is a very poor and depressing place, isn’t it? – I would not say so. 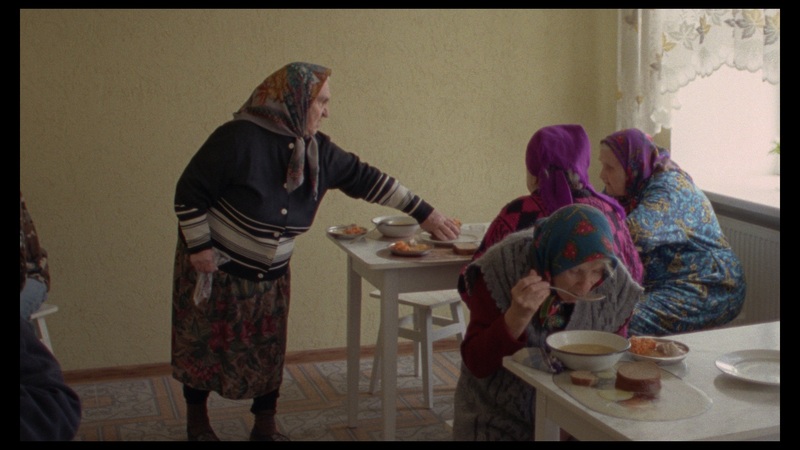 I have recently shown this film in Denmark, and the public included nurses working with old people. And these nurses, having watched the film, were astonished that the Ukrainian retirement home looks impoverished but the old people are in their right minds, they speak with each other, they are active. Of course, it is cleaner and cosier in such places in Scandinavia but the patients are given so many medicines that they simply switch off and stop communicating. I never thought about it, and now I understood they were right: Lida’s retirement home neighbours were active, they went out to sit on the bench together, they watched TV together, they left their rooms, and if you watch a modern retirement home in Denmark or Sweden, you will see that all old people are stuffed with medicines and never leave their rooms. And the food in this retirement home was great! – Lida even had a romance in the retirement home, she fell in love. – Yes, it is incredible! – What happened to her son? How did he become a monk? It was very complicated but I managed to find him in Ust’-Luga, and he turned out to be a lay brother; he was preparing himself to be a monk but he lived almost like a hermit who devoted his entire life to the religion. He even rejected his name, asked me not to call him Arvid and did not wish to speak to me about his past. – Are you going to show your film to him and to other Lida’s relatives? – Yes, I will soon show the film to the relatives. It is not that easy with Arvid, I will have to visit him, we are connected via Internet but he does not go online very often. He saw some fragments I filmed but not the entire film. I think he won’t approve of everything but I hope he would understand that cinema needs an artistic dimension. A monk has many rules: things he can do, things he cannot do. Even to have one’s photo taken is already a sin. But we met each other, he watched my video recordings and he saw his mother after so many years without communication – I think this is enough for my film. – I was surprised as well. Maria watched TV, commented everything and exclaimed: “Our Putin!” It seemed strange to me, for her family comes from Ukraine. However, she has lived all her life in Syktyvkar, and I think she is a typical person of her generation. But I am a foreigner and I cannot understand how the situation is complicated. At first, you are sent to Germany by Hitler, then you are sent to the camp by Stalin… I think that after this, it would be natural not to believe politicians at all. However, on the other hand, it is probably comforting to believe in a great leader… Besides, the life in Syktyvkar has become better in Putin’s time. I did not discuss this with Maria. Of course, there is a feeling of war in the film. When I was just starting to shoot it, they told me in the village that I should visit Crimea in summer, and several years later the conflict started… It is not very visible because Zmiyevka is quite far from Donbass but food prices grow and young people get conscripted in the army. But the village itself was almost untouched by the war. – Anna, you told me you love Russian cinema. What is your favourite film? – Sokurov’s Maria. I watched it when I was filming Lida and I was influenced by Sokurov’s decision to break the story into several chapters. 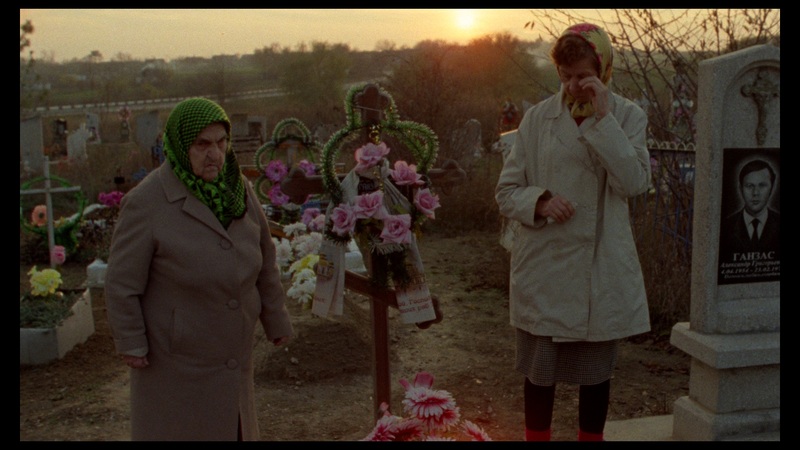 I even decided to come to Zmiyevka and show this film to Lida but then she died.